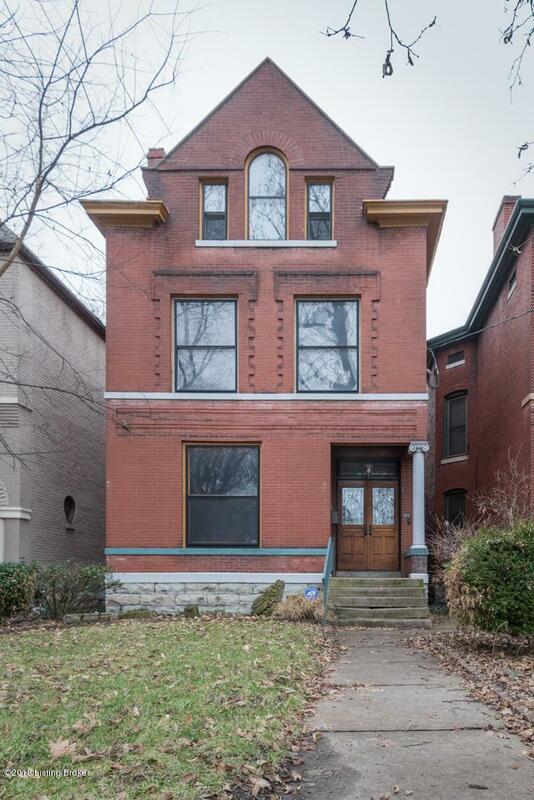 Have you always wanted to live in a character filled Victorian in Old Louisville? If so, then this is the house for you. Beveled glass front doors, check. Inlay hardwood oak floors, check. Original fireplaces, check. The list goes on and on. This amazing home features five bedrooms, two full bathrooms, large covered deck, and an oversized two car garage. Utilize the five burner gas range in the large eat in kitchen that has exposed brick to prepare meals for your family and guest to be served in the exquisite formal dining room. On the second floor you will find a huge master bedroom, large guest room and a huge two room bedroom/entertainment room. The fourth and fifth bedrooms can be found on the third floor.Your search is over, schedule your appointment today! Offering a home warranty to the buyer!